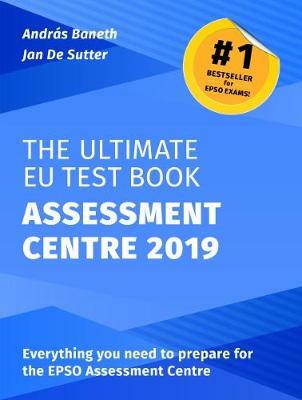 The Ultimate EU Test Book Assessment Centre 2019 has been written by leading experts in EPSO competitions to help candidates succeed at the Assessment Centre. Full of highly practical advice, it shows how the Assessment Centre really works and what candidates need to do to maximise their chances of success. It is packed with hands-on examples, tips and guidance on winning strategies and the common mistakes that candidates make. Andras Baneth is an author, speaker, trainer and consultant, and partner at Arboreus Online EU Training. He is also managing director of the Public Affairs Council's European office. Jan De Sutter is a coach and trainer, focusing on personalised coaching and preparation for the EPSO Assessment Centre. He is a former EU official and EPSO Selection Board president.